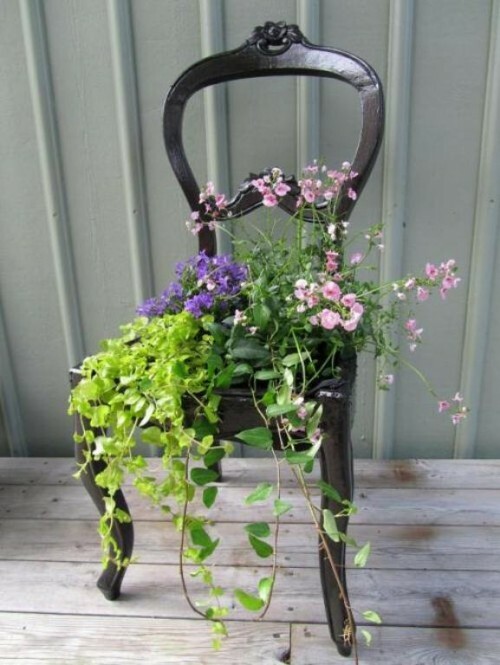 If you have an old chair that is lying in your house for a hundred of years and you don’t know what to do with it – make a nice flower pot with it! You won’t need the seat for this. 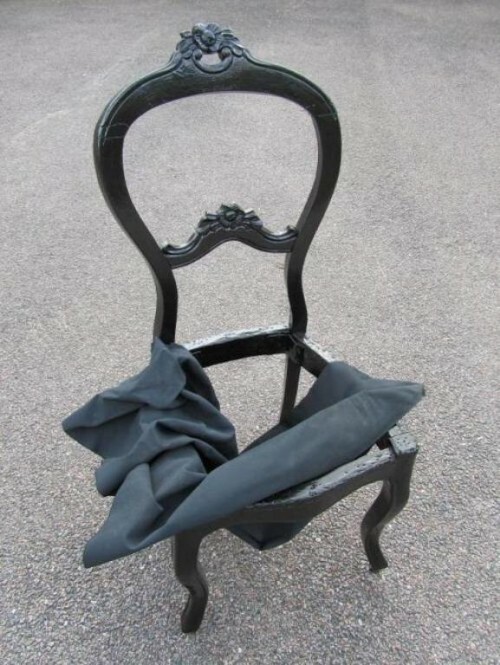 You’ll need a chair, some paint, a net and fabric for plants, some soil. As an option, you may use some rubber to make the pot more hermetically close. Then put some net and soil – and your plants or flowers. Put this beauty somewhere to see it more often – here’s on more variant how to give a new life to a very old thing that seemed unnecessary.